buyers "what will we do for you"
1. Prompt, friendly service from 9:00 a.m. to 9:00 p.m., Monday to Sunday. 2. Four Professionals working on your behalf instead of one. 3. Les & Sonja's Team will research properties for you based on the criteria supplied to ensure you make the right informed decisions. 4. You will be provided with a list of properties that fall within your requested price range, preferred square footage, location, amount of bedrooms/bathrooms, construction/age of building, etc. The Les Twarog Team will then confirm the best time and date for a tour of the available properties. 5. 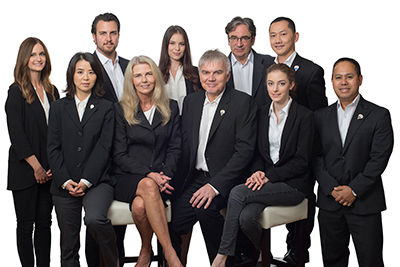 Les & Sonja's Team will work with you, in most Vancouver locations, until it finds a suitable property, even if this means accompanying you on a multitude of tours. 6. Les & Sonja's Team run an automated program from Interface Express that automatically e-mails a buyer new listings, with the buyer's chosen parameters, i.e., type and location, on a daily basis. 2 days before the listings reach the public system of "RealtyLink.org". 7. ATTENTION ALL BUYERS, when booking a viewing day with our team, it is very important that you are sure you can spend the 3 - 4 hours touring the homes. For us to book 6 - 8 homes to show you, we need to make appointments for 20 homes & 6 will be confirmed. This process takes approximately 8 hours for us to book a 3 hour tour. Please be sure you can make it or give us 48 hours cancellation notice to reschedule for another time. For condo buyers in Downtown Vancouver please go to www.lestwarog.com/map_floors.html to access websites for every building loaded with detail info including MLS® listings for each building.